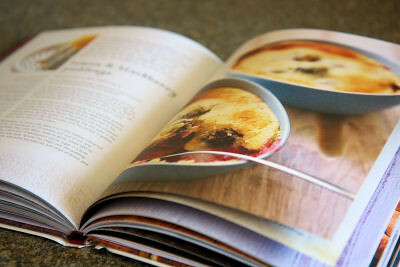 I DO so much prefer cookery book reviews where the reviewer makes a recipe from the book! Best way to judge, I think! Great title for a book - makes you want to dive into it immediately. Both the cranachan the the tart look delectable and I'd be happy with both - please. 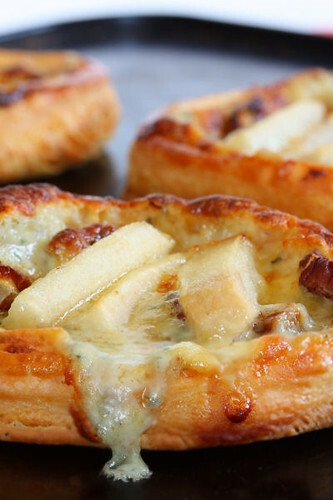 Oooh I love the pear and Gorgonzola tarts! The great thing about these Ryland Peters & Small books is they use cookery writers. Have always been a Maxine Clark fan and her sweet recipes. Fiona Beckett recipes are on my bookshelf too but I am not really familiar with Ross Dobson. Kavey - thanks! I agree, I really like to see the reviewer post a recipe, or at least some photos. Choclette - that is a great title, you just know that the book will be full of winter comfort! Jan - those tarts were really good, I used our own garden pears. Margaret - there are a few other writers too. Lots of good hot, baked desserts in there. holy smokes, what an awesome cookbook title. it's like it was made for me. :) both creations look extremely appealing--nice review! A couple of fab-looking desserts there. If they're typical of the rest of the book, it's a must-have for me. Love the look of this book. And the dishes you decided to cook. Both look delciious and I really like the idea of serving the tarts as a cheese/dessert course all rolled into one. I really like the combination of pear and blue cheese. Thanks for the compliment but I wish I could take credit for all these. This is only the 2nd year out of 13 that I have not done my own table. I still attended and took photos because I haven't missed one in 20 years. I do have links to my last 2 tables and the last 2 years under style if you are interested. I just post photos and ideas each time for my friends and family to see and have a few more days worth to put up. Now, I like to cook but I love to bake and your post is far too tempting, particularly the tart. What a brilliant idea! 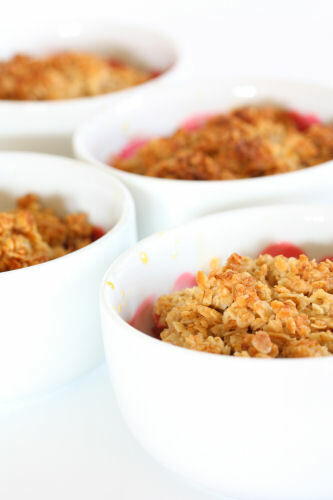 This warm version of Cranachan for the colder weather sounds great and lovely around Christmas. Perhaps as an alternative for traditional pudding haters? Really like the sound of everything, especially those cheese/ pear tartlets, though will be all made just for me as don't think the OH would be so keen on them! 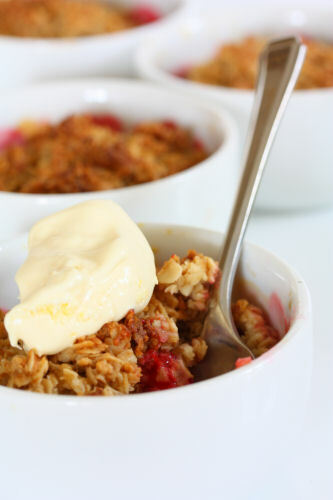 Also the cranachan crumble will be good justification for why I randomly bought a bag of oatmeal last week!! I never had cranachan before and I am reminded now (again) it is on my to make and eat list of foods. heavenly beautiful pictures, am drooling over here! Wow, this looks so delicious! 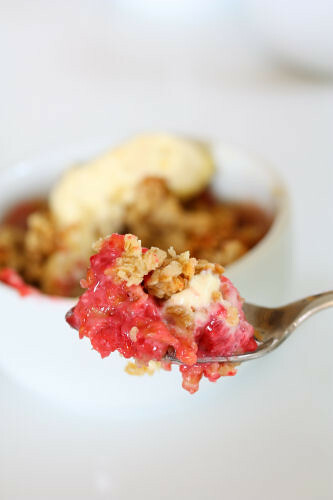 I love raspberries and anything with oats :) Your photos of the berries are gorgeous! The title of the cookbook makes me wanna eat - don't know what i would do if I had one in hand. Lovely recipe with some awesome tempting pictures. Sounds like a cookbook I would love. Both look scrumptious! Nic, must you torture us like this?! I am heading over to amazon to add this to my wish list! 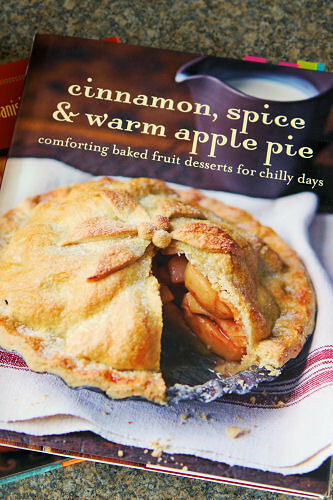 Love to read this cookbook...and that pear and Gorgonzola tart is wonderful looking, great for fall. A great review & wonderful pictures too! Your individual portioned desserts look fascinating & lovely too!